By reducing the friction of the tire and also the resistance offered while driving, the Low Rolling Resistance (LRR) tires help better your homemade electric car’s battery economy. No longer will your electric motor and batteries will find themselves stressed and blame the roads for it. 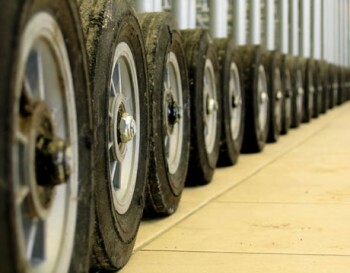 Rolling resistance tires have shown a commendable savings in energy; sometimes up to 15% of gas burnt by an average car. Though this may tempt the reader to go buy the LRR tires for their electric car, it’s advisable that they consider all the pro’s and con’s like price and life span before making a buying decision. Low rolling resistance tires also sometimes called “Tires of Gods” may not be as great if you may have the habit of driving at speeds higher that 50+ mph. As an instance many drivers have mentioned in real life the difference they have got only 2 miles per gallon with gasoline driven automobile. Let’s understand this further. If it costs you $500 to buy all the 4 tires, then for them to pay you back it will take some time. The below two examples will explain this better. Car 1 and Car 2 drives 30 miles a day. Car 1 travels 30 miles on normal tires at 0.3 kWh per mile. This equals to about 9 kWh in a day. If 1 kWh costs 16 cents then it’s a total of $1.44 a day in electricity. Car 2 on the other hand runs on LRR tires. It runs at 0.27kWh every mile. This is 8.1kWh a day. The cost is 16 cents a kWh and so the total is $1.30 a day in electricity. It’s clear that Car 2 has a better battery power economy by 10%, which is like 14 cents saving for the owner per day. In short we derive that the tires will have to be in working condition for 9.7 years or 107 thousand miles before they equate themselves with the electricity savings. If the same is tried on a gasoline vehicle then the payoffs will be quicker majorly because gasoline cars are largely inefficient and consume more money in filling gas for a mile than pure electric vehicles. If you want to save costs further you can go for second hand tires with good tread. The tread which are hard unlike the new softer rubber don’t dissipate a lot of energy as heat. An average electric or gasoline car may have lesser gain but a longer range car will benefit more. So if you are the one who travels long distance regularly and have an electric vehicle for long range driving, then installing LRR will be more beneficial for you. 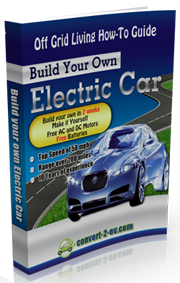 You should continue with their usual brand if they use smaller, low range DIY electric cars. You should also make a note that LRR tires provide lesser grip especially when the road is wet. This is due to the fact that the tread is hard and also tire pressure is high. Please understand the statistics from your supplier around these factors we have discussed before making a decision to buy LRR tires.